Find out if you have what it takes to leave your standard job behind and begin taking control...making money your way, living life on your terms, building a fortune, and creating a legacy. The word “grind” carries both positive and negative connotations. It’s a strong, emotional word. The trick is being on the right side of its definition. Where do you rank on the Cog ↔ Grinder scale? Even if you earn a solid six-figure salary, have a nice house, and are contributing to your 401K, grinding for someone else can leave you feeling empty. I’ve talked to many successful Cogs who have done everything right, from going to school to working hard to climb the corporate ladder. But just as they get where they think they want to be, they realize life is moving fast and they want more: more free time; more money; more satisfaction. They want more than they’ll ever achieve as a Cog. I work for someone else at a full-time W2 (standard) job with no substantial additional income sources. I earn the majority of my income from non-W2 work. I always plan on to earn massively more. I do not have a daily practice for focusing on achieving the life I want. I have goals and work toward them, but don't really have a consistent routine I follow. I have a daily routine of practices that help me clarify the life I want and focus on achieving it. I’m always looking for better and more efficient routines. Which factor will contribute most to your success? I'm not personally invested in my work. I work for the money, which may not be enough. I enjoy my work, but if I didn't get paid for it, I wouldn't do it. I obsess passionately over it. In fact, it doesn't feel like work. How are you directing your one, short life? I don't have a strong set of goals or direction for my life. I'm working hard on goals...but they are mostly someone else’s goals (my boss’ or company’s). If push comes to shove, I set aside personal goals for goals someone else picked. I'm working hard on MY goals. MY goals take priority. I have one source of income. I have multiple sources of significant income. I have multiple sources of significant income, some of which are passive (rentals, royalties, etc...). 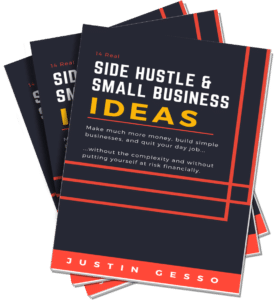 I have multiple sources of significant income, some of which are passive and some of which are scalable (can grow massively). Do you have a mentor, coach, or mastermind group you meet with regularly? How do you feel about this statement: I can have the life I want while also making unusually large amounts of money. No. In order to earn a lot of money, I have to give up time for myself, family, vacations, and more. To reach unusual success, I have to sacrifice everything else. No. You have to be lucky to make unusual amounts of money--it's not related to how I spend my time. I never have enough time in the day. With my regular job, I don't see how I could ever start something big and leave the grind behind. Time is a blur. I'm not substantially different than I was last year. It's amazing how time flies. Time is the only real limited asset. Money is not limited. Money buys time. Time is what I want to manage. If I manage it, I can have plenty of it to achieve whatever I want. I want to be comfortable. I want a solid, steady job. I want to be middle - or upper-middle class. Health benefits and consistency are important to me. I am fine working all week and with only the weekends left for my time. I want everything. I want to achieve my dreams. I want a lot of money and time. I want to pursue my interests. I want to leave a legacy. I want to make an impact on the world. I want to be exceptional and achieve unusually outstanding results. Yes. I have methods built in to my daily routine to optimize and focus my brainpower on achieving my goals. I understand how the subconscious works and employ it daily to my advantage. Are you a Cog or a Grinder? You are currently a Cog! You are a Cog! You placed in the bottom 25%. Offended? If so, you may not have the Grinder mindset. Motivated? If this makes you want more from life, I’ll see you on the inside. Get started with Leave the Grind Behind and work toward becoming a Grinder now. You are a Cog, but on your way! You are a Cog, but you're taking your first steps! You placed in the bottom 50%. Motivated? If this makes you want more from life, I’ll see you on the inside. 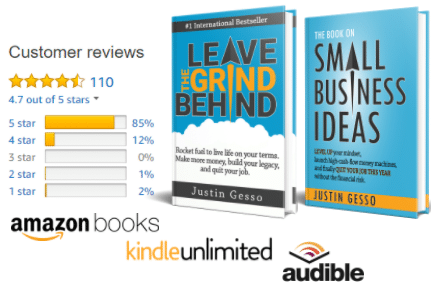 Get stated with Leave the Grind Behind and work toward becoming a Grinder now. You are a Grinder, but have more to do! You are a Grinder, but you can still do better. I want Grinders on the inside. So sharpen your skills and keep yourself motivated to the max by getting stated with Leave the Grind Behind. You are a rock-star Cog! BAM! Look at you go, you Grinder. You're an example for those Cogs out there. I want Grinders on the inside. So sharpen your skills and keep yourself motivated to the max by getting stated with Leave the Grind Behind.